A friend of my wife, who went to bat for me when I was fresh out of prison and courting, is involved in the “Celebrating Men, Satisfying Women” workshop. This workshop is designed to help women really understand the complicated minds of men since men don’t usually talk without being threatened. She respects me and appreciates the relationship I have with my wife enough to have asked me to be on a four-man panel. We were to be in front of about two hundred women of all ages, shapes, sizes, ethnicity, religion and socioeconomic backgrounds. They all paid big bucks to understand men. I felt I’d better bring my A game and leave my ex-con at the door. I was barely a couple years removed from wearing wifebeaters. I gave the Levis a much deserved day off and dressed appropriately, hunting and gathering comfortable slacks, a nice button-down shirt and sensible dress shoes for the occasion. Two other men on the panel understood the importance of the suggested attire, gathering themselves up some fancy duds as well. The fourth guy was a stand-in who was not directly invited to the momentous occasion. He had been sent by his chickenshit friend who was too freaked at the prospect of addressing this army of curious women. He also considered himself the resident fashionista. Mr. Snappy was wearing those creepy form-fitting toe shoes with brown fur stuck on them resembling monkey’s feet. To complete the ensemble he added high water brown corduroy suit, a beard you could hide a sandwich in, and long bushy hair. It was hard to tell where the fir ended and the fabric began. We found him, I thought. 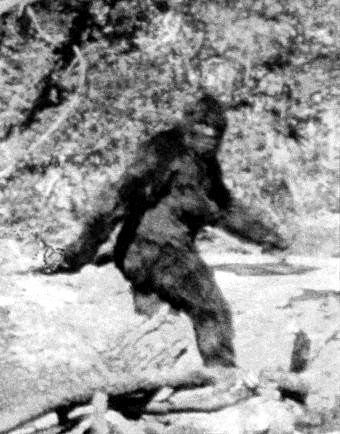 Those grainy Sasquatch photos had finally been validated. The audience spent a considerable amount of time monitoring their own feet to see if whatever he had was contagious. I’m fairly impulsive and at times have a hard time putting the thought before the word. I was definitely thinking Sasquatch. I did manage to blurt out “ask her about her day,” while trying to shake the image of the long sought hybrid woodsman. He burned up his allotted time with clever insightful anecdotes about his single lifestyle in the dating jungle. He wasn’t married or attached. He wasn’t right, but he was certain. This was what got me thinking about Convict Finishing School, complete with ex-cons tips for success in the free world. When in Rome do as the Romans and wear a toga. When at the zoo do as the animals and wear a monkey suit. But when addressing 200 women, do as you’re told and wear something understandable.